For a lot of people a professional DSLR like the Nikon D800 is something you dream about but can't afford. The new full-frame Nikon D600 is $800 cheaper than the D800 and packs many of its big brother's features. Yes, you, the non-professional should be very excited. The Nikon D600 has a 24.3-megapixel, full-frame (35.9 x 24mm) sensor. That's much lower resolution than the 36-megapixel full-framer on the D800. The camera's also lighter—26.8 ounces compared to 31.7 ounces—and slightly smaller in size. That's not going to bother most people and especially not the target audience for this camera because if those spare megapixels are really important to you that means you're probably a professional who can afford to spend a little more on the pricier camera. The camera's image quality is likely still all there. But what do you lose besides resolution, some heft, and $800 off the price tag? Importantly, you lose some handling. The D800 is covered in buttons that allow you to adjust basically every setting without ever having to dive into a menu on the camera's 3.2-inch LCD. After all, the speed and ease of adjustments is one of our favorite parts about using the D800. While the D600 has its fair share of on-body controls, it doesn't have quite as many. Again, will the person buying this camera care about that? Maybe, but it also might be a luxury they can live without if they're getting the great image quality the D600 promises. Another drawback is that the D600 uses a 39-point AF system compared to the D800's more sophisticated 51-point system. That's maybe the biggest disappointment of this camera, and even then, it's hardly a dealbreaker. But otherwise you're looking at basically the same camera. The D600 uses the same Expeed 3 image processor as the D800, and it's rated to the same 6400 maximum ISO. It even shoots identical 1920 x 1080 resolution video at 30, 25, 24 frames-per-second and 1280 x 720 video at 50 and 60 fps. Hell, the D600's 5.5 frame-per-second continuous burst shooting is even a tick faster than the D800's 4 fps spec. 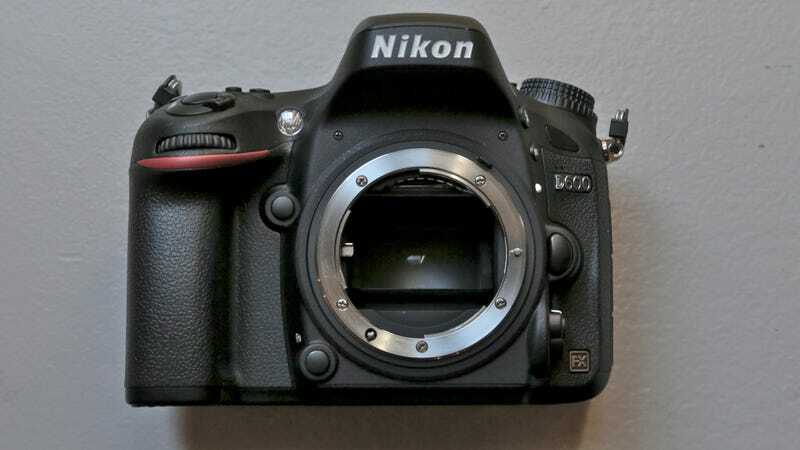 At $2200 for just the body, the D600 is hardly a bargin. Rather, the D600 is designed for serious photographers who found the D800 and other comparable cameras just a wee bit too expensive. At that price-point the D600's only real competitor is the nearly five-year-old Canon EOS 5D Mark II. Sure the 5DMKII is a slick camera, but on age alone, the decision seems like a no-brainer, right?